Acne vulgaris is believed to affect 80% of people aged between 11-30 in the UK.1 As an inflammatory skin condition, acne can cause significant damage to the skin on a mild to severe level; ranging from skin congestion to permanent scarring. It is the one condition that I see equally in both general practice and aesthetic practice, highlighting how common the condition is and how much it affects patients on a physical, emotional and psychological level. Acne is a chronic inflammatory skin condition that mainly affects the face, back and chest, with many patients having more than one area affected. It is characterised by the blockage and inflammation of the pilosebaceous unit of the skin, which consists of the hair follicle, its associated sebaceous gland and arrector pili muscle.2 The density of this unit is greatest on the face, back and chest, hence these are the skin surfaces which are most greatly affected by acne. The density of the pilosebaceous gland remains the same during pregnancy. Why is acne more common in pregnancy? The first and most important step in the consultation is to establish if the patient is pregnant and how many weeks she is. Patients may not always tell you directly that they are pregnant, as many may assume that you know already or not think it’s relevant, so try to make a point of asking this question early in the consultation and express the importance of a truthful answer. What types of lesions has the patient themselves noticed. Can you identify that there are mainly blackheads/white heads or are pustules the main problem? The main exacerbating factor in this context is pregnancy and it is important for practitioners to confirm the stage of pregnancy that the acne first started. Sadly, the psychological effects of acne are often underestimated and misdiagnosed in many cases. The impact that acne has on self-confidence and self-esteem can be just as severe as the physical effects of acne on the skin.10 In my opinion, it is vital that aesthetic practitioners are empathetic towards patients who are suffering with acne and encourage them to be open with how the condition is making them feel. This is especially important in pregnancy as the hormonal changes that cause the initial flare-up in acne can also affect the patient’s mood. As extra care needs to be taken when treating women who are pregnant, there are many challenges that practitioners must be aware of to manage these patients appropriately. As the medical and aesthetic treatment opinions are greatly limited during pregnancy, it is important to be open with patients about this prior to constructing a treatment plan for them. During this discussion, it is a good opportunity to identify the patient’s expectations so that you can manage these appropriately. Firstly, there are many simple things patients can do safely during pregnancy that can optimise their health and skin quality both during and after pregnancy. They mainly depend on the type of acne that the patient is experiencing, whether it be mild, moderate or severe. Some patients may want to try as many treatment approaches as possible, as their appearance and psychological impact of acne may greatly affect them. Other women may only entertain more natural treatments and prefer to doing nothing until the baby is born. If she prefers to do less, always leave the door open for her to return in future, without pressure. Acne has such an emotional effect; especially during pregnancy. I believe it is vital we respect our patients’ decisions and support them at all times. For all patients, practitioners should advise that they avoid picking and squeezing their spots as this can spread bacteria, exacerbate inflammation and can cause scarring. They should also advise patients to use gentle skincare products that contain mostly natural ingredients, as over cleansing the skin can trigger an excess production of sebum to compensate for this.11 In addition, patients should use oil-free makeup and avoid products that are heavy on the skin surface, as oil-based products and emollients contain heavy molecules that cannot penetrate into the skin, for example products containing mineral oils and silicones, as these are comedogenic. They should also ensure their skin is adequately hydrated and that they consume a healthy, balanced diet. As mentioned, the main limitation of aesthetic treatments when treating acne in pregnant patients is the lack of evidence in terms of safety. Many practitioners and aesthetic clinics tend to opt to avoid treating pregnant patients to be on the side of caution. The best interests of the mother and unborn child must always come first. Practitioners must take extra care when treating patients who are pregnant. Due to the lack of data surrounding the safety of many treatment approaches for acne, I always say that it is better to be safe than sorry. Therefore, I would always avoid the use of laser therapy, radiofrequency, chemical peels, certain skincare ingredients and oral antibiotics and never prescribe isotretinoin. 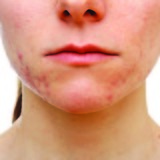 Sarah Purdy, Acne Vulgaris, BMJ Clin Evid, 2008; 2008: 1714. Pina Bozzo, Angela Chua-Gocheco, & Adrienne Einarson, Safety of skin care products during pregnancy, Can Fam Physician. 2011 Jun; 57(6): 665–667. Are practitioners taking acne seriously enough?